Sea Turtles Face Rocky Future (Palm Beach Daily News). 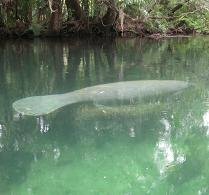 Governor's request keeps manatees endangered (Environment News Service). Report shows increased human contact with Florida Panthers (Naples Daily News). 97 cats found in Pinellas County family's home (First Coast News). Big reward Offered in South Florida Case of Abused Dog (cbs4.com). "Canine Wine" fundraiser for Tampa Bay SPCA (Tampabays 10). State inspects pet stores ahead of holidays #1 (Wink News). State inspects pet stores ahead of holidays #2 (The News Press).